Let’s start off with a simple short-term forex setup forming on NZD/JPY’s 1-hour forex chart. Price made lower highs and found support at the 90.50 minor psychological level, creating a descending triangle pattern. The pair appears to have bounced off the bottom of the triangle and may be headed for the top, as stochastic is moving north and indicating a buildup in buying pressure. 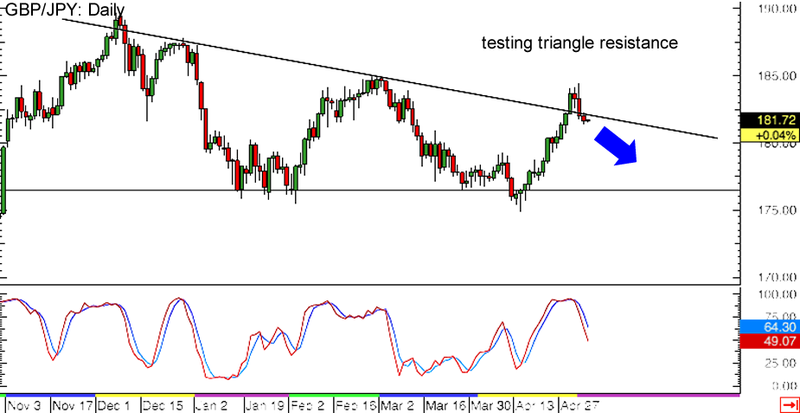 NZD/JPY could climb until the triangle resistance at the 91.00 major psychological level before heading back down. Make sure you review our lesson on How to Trade Triangles if you’re planning in taking this trade! Reversal alert! 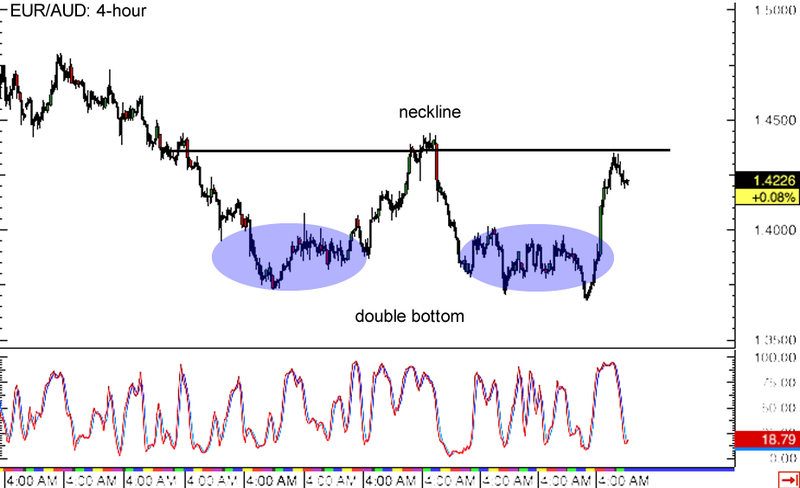 A double bottom chart formation can be seen on EUR/AUD’s 4-hour forex chart, indicating that the pair is tired from its previous downtrend and might be ready to climb. Price has yet to break past the neckline resistance near the 1.4400 major psychological level before confirming the potential reversal, and stochastic is suggesting that euro bulls are about to take control. If that happens, the pair could be in for around 700 pips in gains, which is approximately the same height as the chart formation. Pound bulls, watch out! 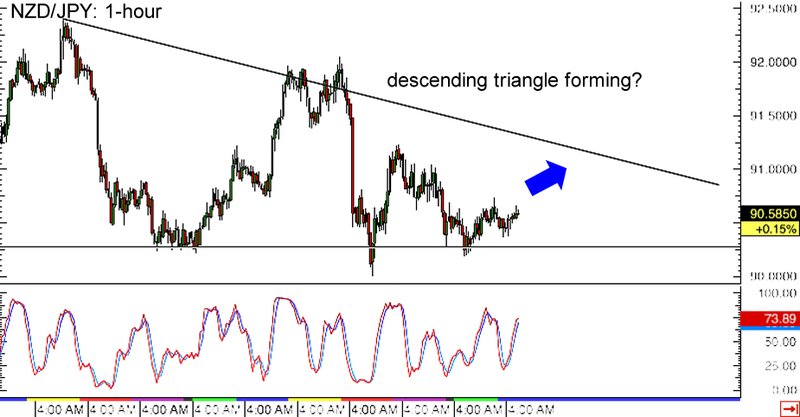 GBP/JPY is currently testing the top of a descending triangle pattern forming on its daily forex time frame. At the same time, stochastic is moving down from the overbought region, confirming that sellers are ready to push the pair back to the triangle support. If the triangle resistance around the 182.00 major psychological level continues to hold, GBP/JPY could move all the way south to the bottom of the formation around 175.00 to 176.00. On the other hand, if buyers jump to action, the pair could still make an upside break from the top of the chart pattern.